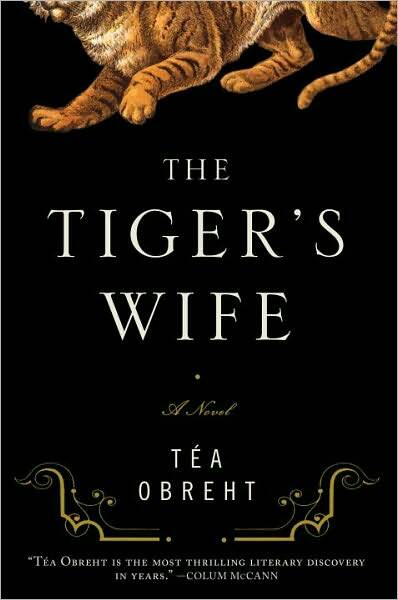 a book chick: "the tiger's wife"
my take: of late i've been reading "different" books ... this got me started on the path less taken: magical realism. i admit the genre isn't a favorite of mine, but i enjoyed this. the novel is based on two semi-supernatural stories; our heroine tries to sort through these stories told by her grandfather. an elephant walks throughout. to add to the mysterious tone, the author set the book in an unnamed war-torn country ... it's hard to get one's footing ... what's real? if you are willing to suspend reality - this is for you. my verdict: different. out-there. very good. worth a read.